15/11/13 -- EU grains closed Friday mixed but mostly lower, with Nov 13 London wheat ending down GBP0.10tonne at GBP164.00/tonne, Jan 14 Paris wheat finishing EUR0.75/tonne lower at EUR204.50/tonne, Jan 14 Paris corn EUR0.50/tonne weaker at EUR174.00/tonne, whilst Feb 14 Paris rapeseed fell EUR3.25/tonne to close at EUR378.50/tonne. For the week there wasn't really a great deal of change, with London wheat GBP0.75/tonne firmer, with Paris wheat ending EUR3.00/tonne higher. Corn rose EUR0.50/tonne and rapeseed gained EUR1.75/tonne compared with last Friday. 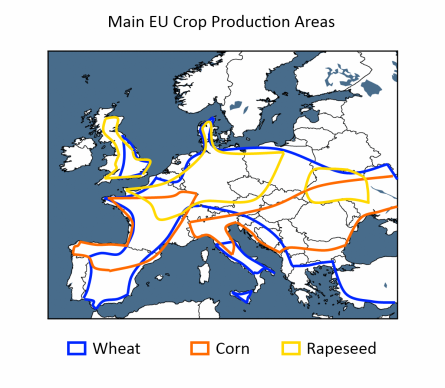 Strong EU exports underpin the wheat market. A bold showing by France in yesterday's Egyptian wheat tender suggests that competition from Ukraine and Russia has waned, although there still seems to be a bit of Romanian wheat left. Despite being around a third of the way into their 2013/14 harvest, estimates for the wheat crop in Australia still vary widely. The National Australia Bank today cut their forecast from 25 MMT to 24.7 MMT. Other estimates are as low as 23.5 MMT, whilst some think that as high as 28 MMT could still be on the cards. All would at least be higher than last season's 22.2 MMT. It seems that whilst WA is in for a bumper crop opinions still differ over the extent of damage done to wheat in VIC and NSW by frost earlier in the season, and also the effect of drought in QLD. Ukraine's 2013/14 grain harvest is entering the final leg, at 95% complete they've produced a crop of 58.41 MMT to date. Corn is the main crop still being cut, harvesting of that is 83% done, producing 24.87 MMT to date. Both the grain and corn harvests there are set to be records this year. Libya bought 50 TMT of optional origin (possibly German) wheat for Dec-Feb shipment in a tender today. Lebanon bought 20 TMT of Romanian wheat for Dec shipment. The Argentine Ag Ministry confused everybody by estimating the wheat crop there at 8.8 MMT, the same level that they forecast a few weeks ago and subsequently withdrew as being erroneous and incomplete. The Buenos Aires Grain Exchange stood by their estimate for an Argentine wheat crop of 10.35 MMT, and said that harvesting is 6.9% complete vs. 3.6% a week ago and 14.5% a year ago. FranceAgriMer said that the corn harvest there is only making slow progress, up from 50% done a week ago to 58% as of Nov 11, and well behind last year's pace of 88%. 14/11/13 -- Soycomplex: Beans broke their run of six straight up sessions, but only very modestly, closing around a cent or two lower. The Nov 13 soybean contract has now expired, making Jan 14 the new front month on beans. Prices in excess of $13/bu should continue to see decent farmer selling, with Brazilian plantings ahead of normal there's the possibility that they could be harvesting early new crop beans in Mato Grosso by New Year. The Dalian Commodity Exchange President estimated China’s 2013 soybean imports at a record high of 66 MMT. The USDA have 2013/14 imports, which is a slightly different timeframe, at a record 69 MMT. Other analysts estimates are 63-68 MMT. MDA CropCast raised their forecast for the 2013 US soybean crop by 3.89 MMT from last week to 85.52 MMT. The October NOPA crush report comes out tomorrow. Also due tomorrow are the USDA's weekly export sales, with the trade expecting another robust set of numbers, with bean sales estimated at around 800 TMT to 1.2 MMT. Also expected tomorrow are Informa's forecasts for 2014 US plantings, last month they forecast bean acres at 83.9 million, up sharply from the 2013 estimated area of 76.5 million and almost a million more than Goldman Sachs said earlier in the week. It doesn't feel like the soybean rally is over just yet, although longer term the prospect of large record South American crop and a potentially huge increase in US soybean plantings in 2014 indicate a possible significant downside. Nov 13 Soybeans closed at $13.17 1/4, down 2 1/2 cents; Jan 14 Soybeans closed at $13.13 1/2, down 1 1/2 cents; Dec 13 Soybean Meal closed at $424.60, up $1.30; Dec 13 Soybean Oil closed at 40.97, up a penny. Corn: The corn market closed around 3-4 cents easier, and appears to be reverting to type after the modest post-USDA report rally. Bullish support should have come from news that weekly US ethanol production was 927,000 barrels/day last week, up 25,000 bpd from the previous week and the largest since Feb 10, 2012. The prospect of an imminent downwards adjustment to the US ethanol mandate hangs over the market though. MDA CropCast raised their forecast for the 2013 US corn crop by 5.7 MMT from last week to 347.4 MMT, citing improved yield expectations. They also increased the size of the Russian corn crop by 2 MMT from last week to 11 MMT. There were smaller cuts for Europe, down 800 TMT and Brazil, down 500 TMT. South Korea's Nofi cancelled a tender to import 70 TMT of optional origin corn for April shipment citing higher prices than anticipated. Dow Jones said South Korean feed mills have their corn needs covered through to the end of February. Informa are expected to release their latest peek into 2014 plantings tomorrow, with corn acres last month estimated at 91.7 million, versus 92.5 million from Goldman Sachs earlier in the week and the 95.3 million estimated this year. Trade ideas for tomorrow's weekly export sales report for corn are around 700 TMT to 1 MMT. The Ukraine corn harvest is 81% done at 24 MMT, and the Russian harvest is 65.4% complete at 8.5 MMT. The USDA's FAS in Ukraine estimated their corn exports in 2013/14 rising to a record 17 MMT versus 13 MMT in 2012/13. When all said and done it looks like there's a chance for corn to revisit the more than 3-year lows set earlier this month, and possibly set fresh ones yet if and when the EPA do cut the ethanol mandate. Dec 13 Corn closed at $4.26 1/2, down 3 1/4 cents; Mar 14 Corn closed at $4.36 1/2, down 3 3/4 cents. Wheat: The wheat market closed narrowly mixed. Egypt bought one cargo of Romanian wheat and three of French origin in their tender. That's the first French wheat that they've bought since December 2012, and should add a bit of support to the European market. Strategie Grains forecast EU soft wheat exports at 23.7 MMT, up 1.6 MMT on their previous estimate and 5 MMT more than a year previously. That's way higher than anything else in the market when you consider that it doesn't include durum or wheat flour exports as many other forecasts do. Certainly the early season pace is there to back that up. Brussels announced that they'd issued a further 612 TMT worth of soft wheat export licences this week, taking the 2013/14 marketing year to date total to 10 MMT versus 6.4 MMT this time a year ago. This doesn't necessarily help US wheat though, although Brazil was said to have bought 60,000 MT of US HRW wheat for Dec shipment yesterday. Weekly export sales for tomorrow will be of interest, with the trade anticipating sales of around 300-600 TMT. 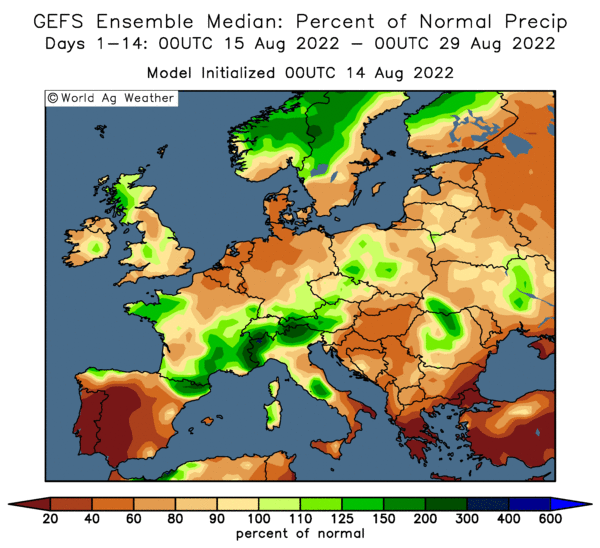 Informa are due to announce their idea on US wheat plantings for the 2014 harvest tomorrow, last month they forecast those at 57.7 million acres. MDA CropCast added just over 2 MMT to their Australian wheat production forecast "due to favourable late season conditions." They also raised their US all wheat production forecast by 500 TMT to 58 MMT. There were downwards adjustments for Argentina, Brazil, Russia and Kazakhstan. A potentially downward bias for corn still hangs over the wheat market. The large price differential between the two suggests an increase in plantings for 2014 where possible, which could be bearish in the longer term. Dec 13 CBOT Wheat closed at $6.44 3/4, down 3/4 cent; Dec 13 KCBT Wheat closed at $7.03, up 1 cent; Dec 13 MGEX Wheat closed at $7.00, up 1/2 cent. 14/11/13 -- EU grains closed mostly higher, supported by the very strong early pace of European wheat exports this season, and ideas that this trend is set to continue. Strategie Grains raised their forecast for EU-28 soft wheat exports in 2013/14 to 23.7 MMT, that's up 1.6 MMT from their previous estimate and 5 MMT more than in 2012/13. They also cut their forecast for the EU-28 corn crop this year by 100 TMT to 64.8 MMT, although that's still 7.2 MMT more than a year ago. The session ended with Nov 13 London wheat down GBP0.30/tonne to GBP164.10/tonne, Jan 14 Paris wheat EUR2.00/tonne firmer at EUR205.25/tonne, Jan 14 Paris corn EUR1.00/tonne steadier at EUR174.00/tonne and Feb 14 Paris rapeseed up EUR1.75/tonne at EUR381.75/tonne. With traders already having one eye cast on prospects for 2014, Strategie Grains forecast the EU-28 soft wheat planted area rising 4% from 23.2 million hectares to almost 24 million, with production seen rising 5 MMT to 140 MMT - the highest since 2008 and the second highest ever. 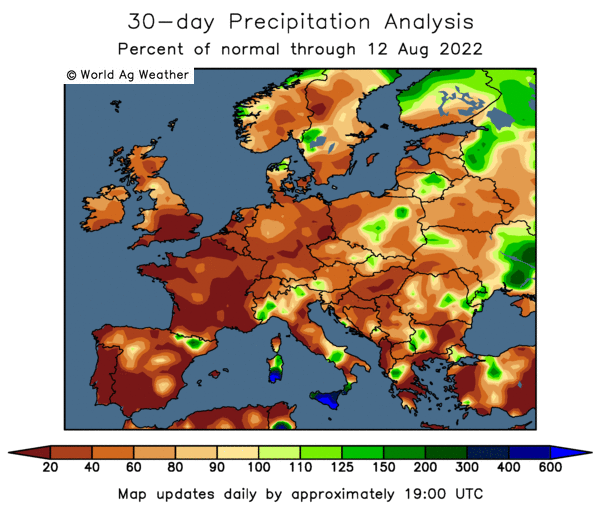 That implies an EU-28 all wheat crop of around 148 MMT next year, which is 2 MMT more than US analysts Lanworth estimated yesterday and 4.7 MMT more than the USDA have the EU's 2013 crop pencilled in at. 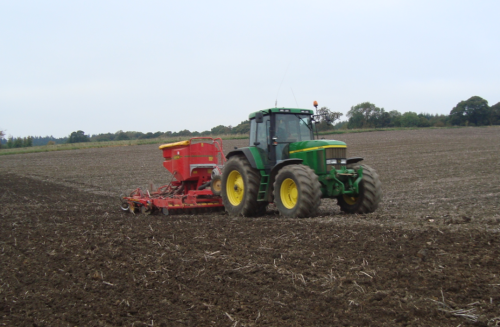 The HGCA said that the UK would plant 22% more wheat for the 2014 harvest, at a shade under 2 million hectares. 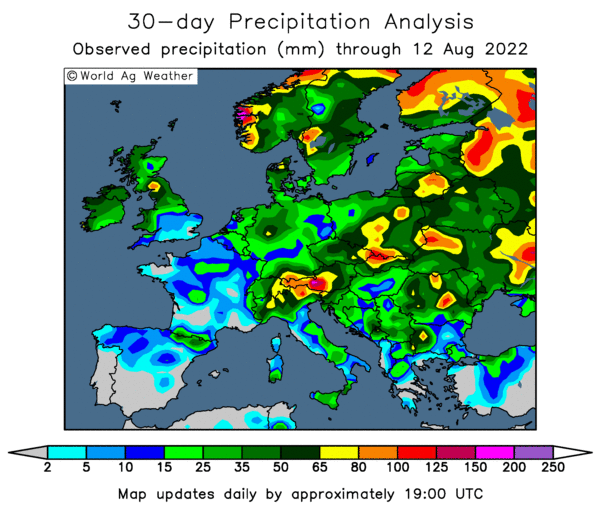 Interestingly they also forecast the winter barley area rising sharply, up 55% to 484k ha, noting that "a renaissance of winter feed barley...could well present a challenge for the market." As you might expect the spring barley area is seen falling significantly from this season's exceptional acreage, down 40% to 534k ha. The UK OSR area (both winter and spring) is expected to rise 3% to 740k ha - the second largest on record. The area given over to oats is seen falling 26% to 130k ha, whilst the area left fallow will decline 36% to 164k ha, they estimated. The bottom line is that the UK should have good volumes of wheat and barley to export again next year, given anything like a half decent growing season. The size of the European and FSU corn crop may help fashion the direction of prices going forward. Certainly it is expected that both Ukraine and Russia will increase corn plantings significantly in 2014, given the problems that they'd had with winter grain sowings. The Ukraine Ministry say that the winter planting campaign there is now over at 7.726 million hectares, down 4.6% on last year and 5.8% down on the originally hoped for 8.2 million. With a small decrease in sunflower acreage in 2014, the Ministry expect corn plantings to rise by around 500k ha in 2014. They are currently 81% through harvesting this year's record crop (producing 24 MMT to date), meaning that a second successive all-time high corn output in 2014 is a distinct possibility. In Russia the 2013 corn harvest is almost two thirds done, producing 8.4 MMT to date. They are also on track for a record corn crop this year on a higher planted area, and the more widespread use of higher yielding hybrid varieties. Winter grain plantings in Russia are at 14.4 million hectares, around 2 million below the original target. The Russian Ministry say that spring grain plantings should increase by at least that 2 million ha, and possibly by as much as 3 million ha. Most of that will be corn, giving them the potential to bring in their fourth record corn crop in a row in 2014. Ukraine are going full steam ahead on the export front now that the corn harvest is well advanced. The USDA's FAS in Ukraine forecast wheat exports rising 45% to 10 MMT in 2013/14, with corn exports up almost 31% to 17 MMT and barley shipments increasing 19% to 2.5 MMT. They are aiming to ship the maximum volume of grains that their current infrastructure constraints allow this month - around 3.5 MMT. Libya are tendering for 50 TMT of wheat for Dec/Feb shipment. Tunisia cancelled their tender for 92 TMT of wheat for Dec/Jan delivery without giving a reason. Egypt tendered for wheat for Dec 1-15 shipment, with the results expected later this evening. The market is wondering whether today is the day that they buy French wheat. It would be their first such purchase since before last Christmas - they've only bought Russian, Romanian or Ukraine wheat so far in 2013/14, although supplies of all three have tightened up recently. 14/11/13 -- Rapemeal prices on the continent are lower today. The HGCA forecast the UK OSR area up 3% on last year at 740,000 ha, the second highest on record. 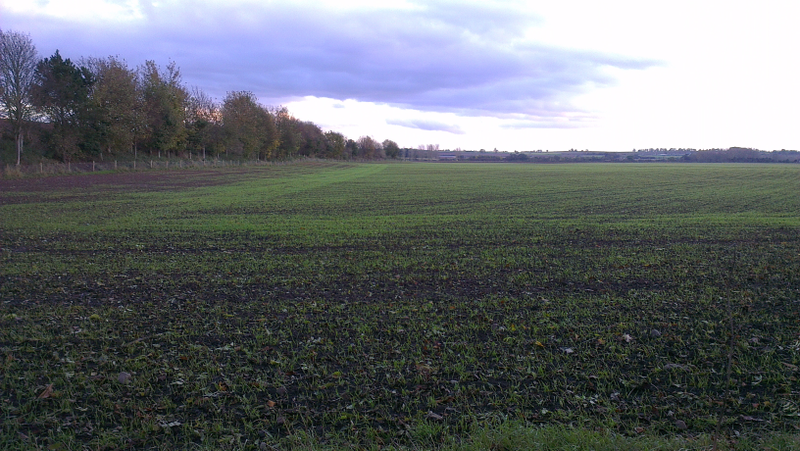 Winter sown crops look far better than they did this time a year ago, so optimism should be high for a sharp rebound in production in 2014 even if it is early days yet. 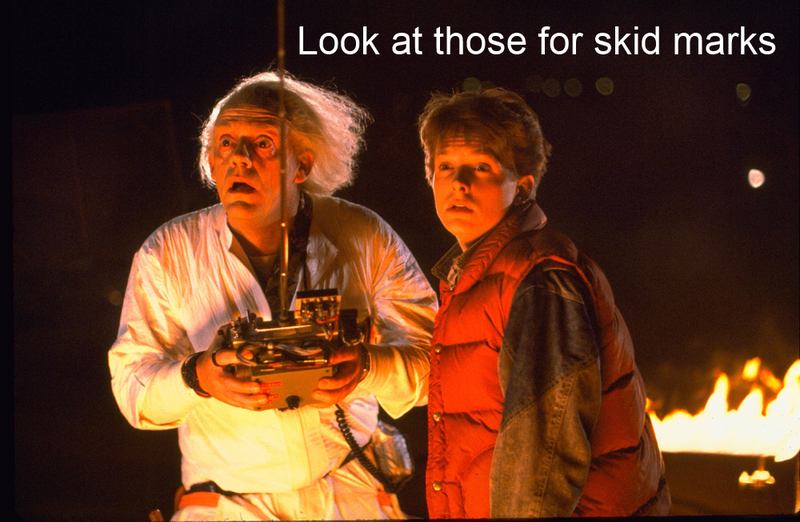 Wheat: Are We Going Back To The Future? 14/11/13 -- The weight of the ongoing record world corn harvest is capping upside potential for wheat - even with the record consumption levels forecast by the USDA on Friday (which some traders would say are optimistic) global corn supply in 2013/14 is seen outstripping demand by around 30 MMT. Meanwhile world corn ending stocks in 2013/14 are still seen rising to the highest levels since 2000/01. And that's before the EPA possibly lower the US ethanol mandate. Goldman Sachs this week cut their forecast for US corn prices to $4/bushel in the 3-6 month timeframe, and said that prices could fall to $3.75/bushel inside the next 12 months. If they're correct then Chicago wheat is currently priced at around a 65% premium to corn 3-6 months hence, and an 80% premium in the 12-month period. They see corn plantings in the US falling 3% next year to 92.5 million acres - still a substantial area given that this relatively small percentage drop is from a level that was a 75 year high. With US corn ending stocks seen finishing 2013/14 some 230% higher than they began it, the prospect of another large crop in the US next year is clearly what Goldman Sachs see as being responsible for US corn prices having a pretty bleak outlook across the next 12 months. With that in mind, South American growers though are already scaling back on their corn plantings for next year's harvest, albeit from very high/record levels. Russia and Ukraine are currently heavily into record corn harvests of their own, and their hands look likely to be forced into planting even more corn in the spring of 2014 - at least partially filling the void left by Brazil and Argentina, and filling it much closer to home too. The Russian Ag Minister says that spring grain plantings will increase by 2-3 million hectares in 2014, and that most of that will be corn. The Ukraine Ministry say that winter grain plantings are now over at a bit more than 7.7 million hectares, almost 500k ha below the original target of 8.2 million. Most of that will probably go into corn in the spring too. So what's a (European) boy/farmer to do? Plant more wheat and hope for the best seems to be the plan of many. Lanworth, in one of the first analysts glances into 2014, estimated the EU wheat crop at 146 MMT yesterday, a 2% rise on this year's crop and the second highest ever, surpassed only by the 151 MMT produced in 2008 - and London wheat fell below GBP90/tonne that year! A scary thought, given that Brown & Co estimate the cost of wheat production in the UK at around GBP110-130/tonne this year. Strategie Grains meanwhile have now forecast the EU soft wheat crop at 140 MMT next year. With durum output generally steady here at around 8 MMT, that implies an all wheat crop of maybe 148 MMT here next year - a little bit closer even to the 2008 all-time high. 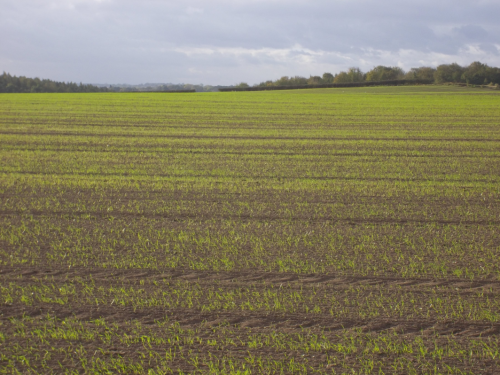 We do know that a lot more winter wheat got planted this year than last here in the UK, and that crop conditions currently look hugely better than they did 12 months ago. The HGCA now forecast the UK wheat area for the 2014 harvest at 1.98 million hectares, a 22% rise on last year. We also know that winter plantings and crop conditions are looking good on the continent and in the US, where 65% of the crop is rated good/excellent versus only 36% a year ago. Of course the second half of 2008 saw us plunged into the abyss that was the sub-prime collapse, and nobody saw that coming (well, apart from that Muriel Nairobi bloke, or whatever he's called). I'm not predicting wheat prices here will fall back to the levels of 2008, but merely posing the question: is selling wheat at around the GBP150-160/tonne mark really that unattractive? Regard GBP200/tonne as Kylie Minogue. Or GBP250/tonne as Kylie and Dannii together. It's nice to dream about, or even hope for, but is it really that realistic? Especially with a near record volume of other potential suitors out there on the dance-floor. Who was it that said "hope isn't much of a strategy"? Selling a bit of new crop wheat now might look pretty smart come harvest 2014. 13/11/13 -- Soycomplex: Beans managed a sixth successive higher close, although only just on about to expire Nov 13. Strong demand for nearby beans is what is supporting the market, and the USDA underlined this once again by announcing the sale of 123,000 MT of US beans to China (who else?) for 2013/14 delivery under the daily reporting system. Robust demand for meal, and healthy crush margins, are also keeping domestic demand for new crop beans in the US high. It's looking like the US soybean export effort will be concentrated on the first half of the season, this week's export inspections of close to 80 million bushels for a third week in a row far outstripped the required 22.4 million needed each week to reach the USDA projection for the year. If not exactly looming, then record South American production is on the distant horizon, but with that will come the inevitable logistical problems and early season shipping delays. This is all starting to sound strangely familiar isn't it? Meanwhile the dogs are already barking that given the current corn:soybean pricing structure we can expect a substantial increase in soybean acres in the US next spring. As ever it's soybean jam tomorrow it would seem. The Chinese Ministry of Commerce estimated their November bean imports at 5.95 MMT versus their October estimate of 4.119 MMT. Various other industry analysts see China's November soybean imports at around 6.5 MMT, peaking at around 7.0-7.2 MMT in December, before falling off to 5.8 MMT in January and 4.0 MMT in February. Lanworth tweaked slightly lower their forecast for the 2013 US soybean crop from 3.293 billion bushels to 3.287 billion. The Philippines typhoon is seen as being supportive for world vegoil prices as it will likely cut coconut oil production. Indian coconut prices are said to have jumped to record levels. Nov 13 Soybeans closed at $13.19 3/4, up 1/2 cent; Jan 14 Soybeans closed at $13.15, up 1/2 cent; Dec 13 Soybean Meal closed at $423.30, down $4.40; Dec 13 Soybean Oil closed at 40.96, up 21 points. Corn: Corn futures drifted 2-4 cents lower on harvest pressure and continued talk that a lowering of the ethanol mandate for 2014 is in the wind from the EPA. A drop in demand for US corn to coincide with a record circa 14 billion bushel crop is obviously not good news. Lanworth tweaked slightly higher their forecast for the US 2013 corn crop, from 13.938 billion bushels to 13.944 billion. The USDA's Canadian attaché estimated the 2013/14 corn crop there at 13.1 MMT, unchanged from a year ago. Ending stocks are seen rising to 2.5 MMT from 1.6 MMT a year ago. The Russian corn harvest is now 63.5% complete at 8.2 MMT, the USDA raised their forecast for output there this year from 9.0 MMT to 11.5 MMT on Friday. Russia are said to be stepping up their corn export activity. So too are Ukraine, where this year's record corn harvest is now also well advanced. Both countries are expected to increase corn plantings in 2014 further, pushing production there up to new record levels in what is becoming a rapidly expanding crop in the FSU. For South American farmers meanwhile, corn is losing it's lustre and reduced production from Brazil and Argentina is on the cards for early next year, although output will still be substantial. Brazilian corn is now approved for export to China, where the US already faces stiff competition from Argentina and Ukraine. The weekly ethanol production data from the Energy Dept comes out tomorrow. The usual weekly export sales are out on Friday. Both are a day later than normal due to Monday's Veteran's Day holiday. "Ukraine corn offers are undercutting France into the rest of the EU. The corn market may be trying to tell us that it isn’t going anywhere fast without a story," said Benson Quinn Commodities. Dec 13 Corn closed at $4.29 3/4, down 2 1/2 cents; Mar 14 Corn closed at $4.40 1/4, down 3 3/4 cents. Wheat: Wheat was narrowly mixed, and looks like it will struggle to go higher whilst corn remains mired in the low $4's area. CNCOIC estimated China's wheat imports at 8 MMT, up from 7.5 MMT previously and the most since 1995, although below the USDA's 8.5 MMT forecast. Lanworth forecast the Chinese 2014 wheat crop at a record 124 MMT, up 2% versus this year. Wheat planting in India is underway, they expect to sown around 29 million hectares this year, and the government have increased the price it will pay local growers from INR1,390 per 100 kg to INR1,400 per 100 kg (around $221/tonne) to ensure good plantings. Indian trading firms have announced that they are to defer slightly the deadline for bids on efforts to sell 340 TMT of government wheat stocks for December shipment due to a holiday. The bidding deadline is now November 18th instead of the 15th. It will be very interesting to see what happens there, as they are supposed to now be prepared to accept more realistic bids compared to their previous minimum of $300/tonne. Russia bought 21,330 MT of grain for it's intervention fund, that takes the total purchased so far to 282,420 MT. They have a declared intent to buy 2-3 MMT by the end of the year, so they are going to have to get their skates on to hit that target. The USDA's Canadian attaché estimated the 2013/14 all wheat crop at a record 33.2 MMT, up 22% versus 27.2 MMT a year ago. The attaché estimated Canadian 2013/14 all wheat ending stocks at 8.2 MMT versus 5.1 MMT a year ago. Australia's CBH Group estimated the wheat crop there at 26.0 MMT, versus 25.9 MMT previously and up 17.6% on a year ago (and versus 25.5 MMT from the USDA last Friday). They estimated Australian wheat exports in 2013/14 at 17.0 MMT. The harvest there is said to be around 25% done and new crop shipments have already begun to leave the ports WA and SA. Dec 13 CBOT Wheat closed at $6.45 1/2, up 1/4 cent; Dec 13 KCBT Wheat closed at $7.02, down 1 1/4 cents; Dec 13 MGEX Wheat closed at $6.99 1/2, down 1 3/4 cents. 13/11/13 -- EU grains closed mostly a little lower. That said, Nov 13 London wheat endeed GBP0.40/tonne firmer at GBP164.40/tonne, whilst Jan 14 was up GBP0.65/tonne at GBP164.65/tonne. Nov 13 Paris milling wheat settled EUR0.75/tonne easier to close at EUR201.50/tonne. Feb 14 Paris rapeseed fell EUR0.50/tonne to EUR380.00/tonne, whilst Jan 14 Paris corn closed EUR2.25/tonne lower at EUR173.50/tonne. The latest customs figures show that the UK imported 245 TMT of wheat in September, with 71 TMT coming from France, 51 TMT from Germany, 29 TMT from Canada and even 23 TMT from little Estonia. That takes the UK's wheat imports for the 2013/14 marketing year so far (Jul/Sep) to 829 TMT, up more than 40% on the same period in 2012/13. I thought imports were supposed to be slowing? Exports meanwhile were very tardy in September at only 10.5 TMT, taking Jul/Sep wheat exports at only 44 TMT versus 289 TMT in the same period last season. Russia's grain harvest is 93.6% done at 92.8 MMT in bunker weight, including 53.8 MMT of wheat off 97.4% of the planned area. The Russian Grain Union said that they expect the final clean weight harvest to total 90 MMT, with 50 MMT of that wheat. They said that they expect Turkey to be their largest wheat buyer in 2013/14 taking 4.2 MMT. ProZerno Group said that Russia exported 1.82 MMT of wheat last month, a decline of 23.5% on September, although 15% more than in October last year. Egypt was the top home, followed by Yemen and Turkey in third. Tunisia issued a tender for 92 TMT of optional origin hard wheat for Dec/Jan shipment. The French Farm Ministry trimmed slightly their estimate for the soft wheat crop there, down 125 TMT on previously to 36.7 MMT, a 3.4% rise on last year. FranceAgriMer went slightly higher, estimating this year's crop at 36.96 MMT, up 3.8% on last year. They see exports to non-EU destinations rising 13.1% in 2013/14 to 11.2 MMT. Exports inside the EU are forecast to fall 3.3% to 6.9 MMT. The French Farm Ministry also cut their forecast for this year's corn crop by 300 TMT to 15.2 MMT on lower than anticipated yields. Lanworth forecast the EU-28 wheat crop for next season at 146 MMT, a 2% rise on this year and the second largest ever. They see China's crop also 2% higher in 2014 at a record 124 MMT. Chinese think tank CNGOIC forecast the country's wheat imports at 8 MMT this season, the most since 1995, although that's below the USDA's estimate of 8.5 MMT released on Friday, and the 9.5 MMT that the latter predicted in September. They said that China has so far bought 4.5 MMT of Australian and US wheat for delivery this season. They've also bought French and Canadian wheat in lower volumes. 13/11/13 -- Rapemeal prices on the continent are mostly a little easier on old crop, and flat to slightly higher on new crop today. 12/11/13 -- Soycomplex: Beans extended their rally into a fifth session, closing with gains of around 10-14 cents, on strong export demand. The Nov 13 contract, which expires on Thursday, posted its highest daily close since Sep 27. The USDA reported the sale of 116,000 MT of US soybeans to China and 35,000 MT of soyoil to unknown. Goldman Sachs estimated 2014 US soybean plantings at 83.0 million acres, up sharply from the 2013 estimated area of 76.5 million. AgRural said that Brazilian soybean planting is 59% complete versus 48% a week ago and 53% a year ago. They estimated the 2013/14 soybean area at a record 29.329 million hectares, up 5.8% from a year ago. Mato Grosso soybean planting is said to be 85% complete, up from 72% a week ago and versus 79% a year ago. They said that as of Oct 31st Brazilian growers had sold 34% of their 2013/14 soybean crop versus 58% a year ago. 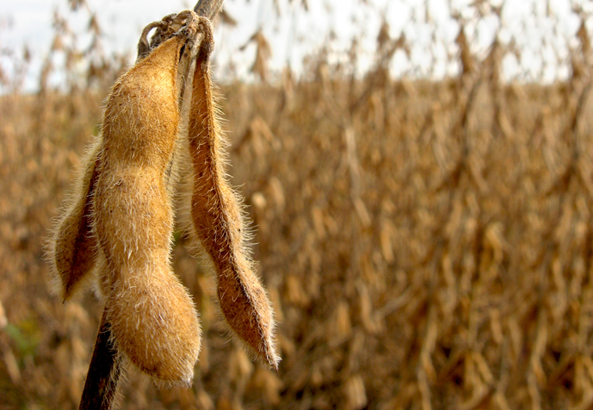 Oil World forecast the global soybean crop at a record 285.3–286.3 MMT in 2013/14, up from a previous estimate of 281.3 MMT and the USDA's estimate of 283.5 MMT. The USDA reported weekly export inspections of 79.69 million bushels versus the 60-70 million expected, the third week of robust shipments of around 80 million bushels. After the close they said that the US 2013 soybean harvest was 91% complete versus expectations of 91-95% and in line with the 5-year average of 92% done. Nov 13 Soybeans closed at $13.19 1/4, up 11 1/4 cents; Jan 14 Soybeans closed at $13.14 1/2, up 13 1/2 cents; Dec 13 Soybean Meal closed at $427.70, up $5.60; Dec 13 Soybean Oil closed at 40.75, up 33 points. Corn: Corn closed a couple of cents easier on the notion that "big crops get bigger" and that maybe the little mini-rally of the past few days has been overdone. There's also the lingering fear that the EPA will lower the ethanol mandate for 2014, potentially reducing US demand for corn at a time when that needs to stay high to absorb a near 14 billion bushel crop. Goldman Sachs cut their 3 and 6 month corn price forecast to $4/bu versus a previous forecast of $4.25/bu. They estimated US 2014 corn plantings at 92.5 million acres, down almost 3% from the 2013 estimated area of 95.3 million. Dr Cordonnier estimated the 2013/14 Argentine corn crop at 25.0 MMT, unchanged from his previous estimate. He said that about 40% of the Argentine corn crop has been planted. He has the Brazilian crop down at 68.5 MMT. Safras e Mercado said Brazil has planted 85.7% of their corn crop, up from 77.3% a week ago and versus 70.8% for the 5-year average. The Russian corn harvest is 62.8% done at 8.0 MMT, say the Ag Ministry. There are reports of Russian corn being sold into South Korea. Weekly export inspections for corn were disappointing at 16.7 million bushels versus the 30-35 million that the trade was expecting. The USDA reported the 2013 US corn harvest as 84% complete after the close, up from 73% done a week ago and in line with trade expectations. Funds were estimated as being net sellers of around 5-6,000 corn contracts on the day. Dec 13 Corn closed at $4.32 1/4, down 2 1/2 cents; Mar 14 Corn closed at $4.44, down 2 1/2 cents. Wheat: Wheat closed around 1-3 cents lower across the three exchanges as export interest in US wheat wanes. Today's weekly export inspections of only 12.22 million bushels were poor and towards the low end of fairly meagre expectations. The USDA said that US winter wheat is currently 95% planted versus 93% normally at this time. Crop conditions were pegged at 65% good/excellent versus 63% a week ago and only 36% this time last year. Emergence is at 84% versus 80% normally. Winter plantings in Ukraine have caught up markedly in recent weeks, with 94% of the originally forecast wheat area now in the ground along with 99% of the winter barley crop. Around 80-85% of Ukraine winter grains are said to be in good shape. Emergence is at 90%. The wheat harvest is around 20% done in Australia, with good to excellent yields and quality coming in from Western Australia. Conditions in eastern states are more variable however and estimates on final Australian production this year still differ quite widely. The Ag Ministry in Kazakhstan said that the country had exported 1.0 MMT of grains in October, up 62% from September and up 4.4% versus a year ago. They said that the harvest there is now more than 99% complete at 20.8 MMT in bunker weight. The Russian grain harvest is 93.5% done at 92.6 MMT, with 97.4% of the wheat crop in at 53.7 MMT. Pakistan's winter wheat crop will be all in by the end of the month, with an anticipated area of just under 9 million hectares producing a forecast crop of 25 MMT versus 24.2 MMT earlier this year. Dec 13 CBOT Wheat closed at $6.45 1/4, down 1 cent; Dec 13 KCBT Wheat closed at $7.03 1/4, down 3 cents; Dec 13 MGEX Wheat closed at $7.01 1/4, down 3 1/4 cents. 12/11/13 -- EU grains closed mixed with Nov 13 London wheat ending down GBP1.00/tonne at GBP164.200/tonne, Jan 14 Paris wheat finishing EUR0.50/tonne lower at EUR204.00/tonne, Jan 14 Paris corn EUR0.75/tonne weaker at EUR175.75/tonne, whilst Feb 14 Paris rapeseed rose EUR0.75/tonne to close at EUR380.50/tonne. Now that we have the much-awaited USDA's November WASDE report at our disposal the market appears to be thinking two things. One is that the corn news maybe isn't as bearish as was feared, the other is that US wheat is over-priced relative to the latter. Northern hemisphere farmers are fully focused on plantings for the 2014 harvest, and already there are a few clues as to where we may be as far as supply and demand goes twelve months from now. Strategie Grains say that the EU-28 oilseed area will drop 2% to 11.9 million hectares for next year's harvest, including an OSR area of 6.6 million ha (down 1%) and a reduction in sunflower plantings to 4.4 million ha (down 3%). They haven't yet given us a wheat area for next year, but they are alluding to an increase. There seems to be a general dissatisfaction with OSR as a crop in terms of price, yield and the difficulty of growing it across Europe in the past couple of seasons. 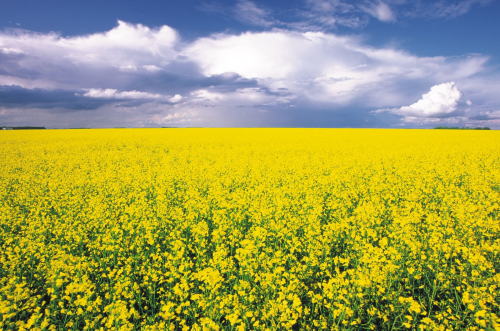 The German OSR area is forecast 4% lower at 1.4 million hectares by their Oilseed Processors Association. APK Inform say that Bulgaria's OSR area could halve. Barley prices are also low, so what is a grower to do? Brown & Co reported at last week's well-attended Fengrain conference in Peterborough that the average cost of growing wheat for the 2013 harvest in the UK was between GBP110-130/tonne, depending on the final yield. It will surprise few if production here shows a very sharp rebound next year, particularly given the fact that winter sown crops currently look hugely better than they did a year ago. Some are already suggesting that we could be looking at a record UK output in 2014. The Russian grain harvest is 93.5% complete at 92.6 MMT, versus only 73.3 MMT a year ago. Wheat accounts for 53.7 MMT of that, off 97.4% of plan, versus 39.7 MMT in 2012. Unusually mild weather means that Russian winter grains plantings have advanced to 87.7% of the original target at 14.4 million hectares, although that still lags the 15.68 million ha that had been planted this time a year ago. In Ukraine, winter grains have now been sown on 7.714 million hectares, 94% of original intentions. 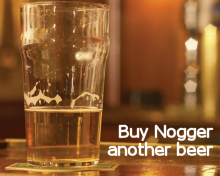 That includes 6.292 million ha of wheat and 1.173 million ha of barley. Emergence is at 90% of the sown area, and 85% of the crops are said to be in good/excellent condition by the local Ag Ministry. The Ukraine Weather Centre say that winter crops are in as good, if not better, condition than a year ago. The Ukraine harvest is now said to be in excess of 57 MMT, beating the 2011 record of 56 MMT, and 94% complete. The Ministry say that they aim to have a grain harvest of 72 MMT by 2020. That may sound like pie in the sky, but it would be comfortably achievable if they could get anything like Western yields. In other news, Bangladesh are tendering for 50 TMT of optional origin wheat for Dec/Jan shipment. Tunisia seek 92,000 tons durum wheat optional origin for Dec/Jan shipment and South Africa bought 32,259 MT of Ukraine wheat last week. The French Farm Ministry estimate their 2013 soft wheat crop at 36.7 MMT versus a previous estimate of 36.825 MMT, but still up 3.4% from a year ago. 11/11/13 -- Soycomplex: Beans corrected lower for most of the day, but closed around 2-5 cents firmer at the finish. There were no weekly export inspections, or a crop progress report from the USDA due to the Veteran's Day holiday. These will be released tomorrow. Trade estimates are that the US soybean harvest will be around 91-95% complete versus 86% a week ago. Export inspections are forecast in the region of a robust 60-70 million bushels versus over 80.5 million last week. Safras e Mercado said that Brazil has planted 59% of their soybean crop versus 54% a year ago and 49% normally at this time. In the top producing (and generally early harvesting) state of Mato Grosso beneficial October rains mean that plantings are 84% complete versus 78% a year ago and 69% on average. Another round of good weekend rains in Argentina continue to improve soil moisture conditions there. They are said to have planted around 12% of their bean crop and 80-81% of their sunflower crop. Strategie Grains estimated the EU-28 rapeseed crop at 20.8 MMT (the same as the USDA said on Friday) versus 19.5 MMT a year ago. Nov 13 Soybeans closed at $13.08, up 2 cents; Jan 14 Soybeans closed at $13.01, up 5 cents; Dec 13 Soybean Meal closed at $422.10, down $0.20; Dec 13 Soybean Oil closed at 40.42, up 18 points. Corn: The corn market extended Friday's "sell the rumour buy the fact" movement, closing around 8 cents higher. The USDA called this year's corn crop a shade under 14 billion bushels, and comfortably a record, but fell short of the 14.2-14.3 billion crop that some were estimating. Slightly lower 2013/14 ending stocks than anticipated (at 1.89 billion bushels versus an average trade guess of just over 2.0 billion) might be almost 3 times those of 2012/13, but they weren't quite as high as expected. Essentially, the report was bearish, but not as bearish as feared. This appears to have been sufficient to encourage fund money to close out and take profits on some of their record long short position in corn, buying in an estimated net 10,000 contracts today. The trade is expecting the US corn harvest to be around 85% done, up 12 points on a week ago, in tomorrow's delayed crop progress report. Weekly export inspections are anticipated to come in at around 30-35 million bushels, similar to last week's 31.3 million. Dec 13 Corn closed at $4.34 3/4, up 8 cents; Mar 14 Corn closed at $4.46 1/2, up 8 cents. Wheat: Wheat was the weakest of the trilogy for a second day. CBOT wheat has now closed lower on front month Dec for eight out of the last 10 sessions, and on both days it didn't conform to that pattern it was only a quarter of a cent higher. US wheat is overpriced into many international homes, and still runs at a huge premium to corn into domestic feed homes in the US. Meanwhile the USDA said last week that 63% of the nation's winter wheat crop in good/excellent condition, up 2 points on the previous week and compared to only 39% a year ago. "Kansas, the leading winter wheat state, has received abundant rain this autumn. The 5.8 inches of rain that accrued since September 1 is 23% above normal. This has promoted favourable germination in wheat and high plant populations. A favourable beginning usually (though not always) promotes a high yield in the harvest," noted Martell Crop Projections. Crop conditions are expected to hold steady to improve 1-2 percentage points in tomorrow's USDA report. 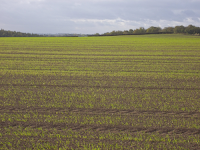 Winter wheat plantings are expected to be around 93-95% complete. Weekly export inspections are forecast to be only around 11-16 million bushels. Dec 13 CBOT Wheat closed at $6.46 1/4, down 3 1/2 cents; Dec 13 KCBT Wheat closed at $7.06 1/4, down 2 1/4 cents; Dec 13 MGEX Wheat closed at $7.04 1/2, down 3 1/2 cents. 11/11/13 -- EU grains closed mostly higher, in a slightly delayed reaction to Friday night's USDA report which basically wasn't quite as bearish on US corn production this year as was expected by the market. Even so, a record world wheat, corn and soybean crops in 2013/14 could hardly be considered bullish. The session ended with Nov 13 London wheat up GBP1.75/tonne to GBP165.00/tonne, Nov 13 Paris wheat EUR0.75/tonne firmer at EUR202.25/tonne, Nov 13 Paris corn EUR3.00/tonne steadier at EUR176.50/tonne and Feb 14 Paris rapeseed up EUR3.00/tonne at EUR379.75/tonne. We now appear to be in a "is the glass half full, or half empty" type situation. As far as wheat is concerned, output in the FSU is seen lower than it was in September whilst amongst more discerning sellers like the US, Canada and the EU it is said to be higher. Ultimately, if it's the stronger sellers that hold the whip hand then you might expect the market to appreciate over the next few months. Some would argue however that how can world wheat consumption in 2013/14 also be a record 703.5 MMT, more than 24 MMT higher than it was last season, given that we also have a record corn crop - more than 100 MMT more than it was in 2012/13? As ever, it seems that the market's perception of the USDA's numbers is more important than they reality of what they portray. Other news tells us that the Russian 2013 grain harvest is now more than 93% complete at 92.2 MMT, including 53.7 MMT of wheat (in bunker weight) off 97.2% of the intended area. This time a year ago the harvest had only produced 72.9 MMT of wheat. SovEcon say that domestic wheat prices have risen for the last 5 weeks, to RUB7,825/tonne (USD239.20 or GBP149.60) for 3rd grade milling wheat. The Russian Ministry say that grain exports for the week to Nov 6 were 507 TMT, including 322 TMT of wheat. That takes 2013/14 grain exports to 11.684 MMT so far this season, a relatively modest rise of 13% year on year. Ukraine's grain exports are up a similar percentage during 2013/14 at 10.5 MMT. That includes 5.6 MMT of wheat, almost 3 MMT of corn and 1.85 MMT of barley. APK Inform said that Ukraine's grain exports for the week to Nov 10 were up 46% on the previous week at 982 TMT. A delve through the minutiae of Friday's USDA report shows that EU-28 wheat production was raised from the 142.9 MMT forecast in September to 143.3 MMT. That included small increases for France (from 38.55 MMT to 38.6 MMT, a 1.82% rise on 2012/13) and Germany (up from 24.7 MMT to 24.87 MMT, a 10.96% rise on last year). Output in the UK and Poland was left unchanged at 12.1 MMT (down 8.75% versus 2012/13) and 9.4 MMT (up 9.2%) respectively. Spain's wheat crop was seen 51% more than a year ago at 7.7 MMT. The USDA pegged the EU-28 barley crop at 59.29 MMT versus 58.1 MMT in September, and up 8.16% versus 2012/13. The UK crop was increased from the 6.8 MMT forecast two months ago to 7.1 MMT, and 28.58% more than in 2012/13. They put the EU-28 OSR crop at 20.8 MMT, up 100 TMT on their September forecast (and up 8.28% versus a year ago). The UK crop was increased by that 100 TMT to 2.1 MMT, although that's still down 18% on 2012/13. The Russian Ministry said that winter grain plantings for the 2014 harvest were complete on 14.3 million hectares versus 15.6 million this time a year ago. French customs data shows that they exported 1.57 MMT of grains in September, up 48% from a year previously. Algeria was the top buyer, taking 539 TMT.